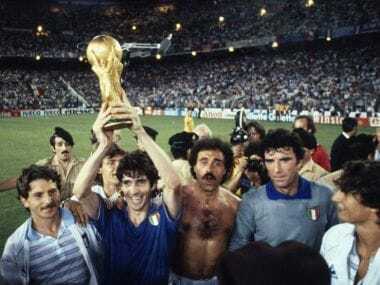 The last match in the Group One at the 1974 World Cup was a dead rubber. The two teams playing in this game had qualified for the next round. In fact, the winner of this match would be facing a tougher challenge in the second round of the tournament. Hence, even if a team lost this one, it would have ended up winning an important battle in a long run. However, these permutations and combinations affected nobody in these two teams. They had much more to play for. More than a win or loss, there was history and reputation at stake. This was East Germany taking on West Germany. This was not just a football game between two countries. This match was going to be reflection of political symbolism. Capitalism taking on Communism. A country divided into two, courtesy of a world war, was going to battle it out in the middle of the football pitch. The players could sense the tension in the air. The fact that a World Cup was being held in West Germany made the event more magnified in terms of tension and pressure. This was the first major tournament being held in West Germany after the Munich massacre at the 1972 Olympics, where 11 Israel athletes were killed. Also, East Germany had travelled to West Germany to play. Expectations, history, politics, ideologies, had added weight to an already heavy environment. West German authorities made all the security arrangements before this match. There was police armed with guns in hand roaming all around and a helicopter hovered over the stadium for the whole duration of the match. On paper, West Germany was a stronger team. They came into the tournament as favourites and experts suggested that they were pretty confident of the win. They had the talent, they had the winning momentum and they had a rich footballing history. Having won the World Cup in 1954, and finishing as runners-up in 1966, West Germany knew how to play in big games. Nerves had better of the players from both the teams in the first half. East Germans had one easy chance when they were gifted an open goal, but the opportunity was ruined. 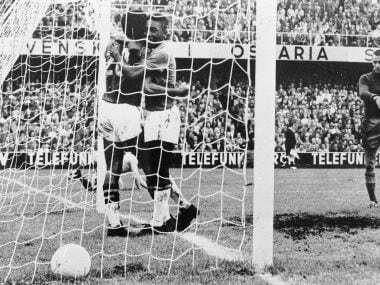 West Germany's Gerd Mueller had a golden chance to score the first goal of the match as well, but the ball hit the goal post. As a result, the first half ended without either of the team opening their account. When the second half began, the West Germans had the better control. But they still were not able to convert good work with the ball on the pitch into a score. The wait for the first goal made East Germany even more confident, West Germans even more nervous. The 82nd minute of the match finally saw the unexpected happen as East Germans took the unexpected lead to shock the hosts. Erich Hamann and Jurgen Sparwasser worked in pair to pull off the historic goal in front of the 60,000-odd crowd, comprising only 1,500 spectators from the other side of the border hand picked by the East German authorities. It was Hamann who fed the ball to Sparwasser on his right, who tricked the West German defender Berti Vogts and hit the ball into the net. Soon, the final whistle blew and an upset had been done, the one which people were going to remember for ages. West Germans, as told by many reports, drank till dawn after the embarrassing loss. 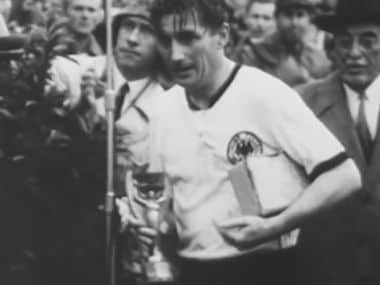 Prior to the game, West Germany's Franz Beckenbauer had said that the team was playing for team coach Helmut Schon, who was born in Dresden which back then was part of the erstwhile East Germany. This added more to the team's misery. But the sorrow did not last long. As it was turned out to be, East Germany won the group stage and played a tougher opponents in the Netherlands, Brazil and Argentina. On the other hand, thanks to the loss, West Germans fell in a much easier group consisting of Poland, Sweden and Yugoslavia. The shock against East Germany made them rework on their game and eventually, they went on to win the 1974 World Cup. 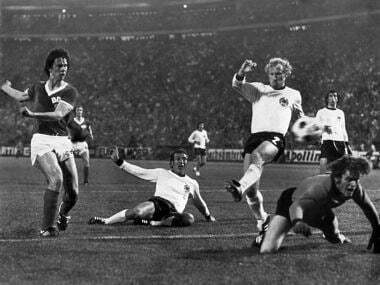 East Germany could not do much after that historic win in the only time they played West Germany in a World Cup game. However, it was moment to remember for their people, government.